Welcome to Abreee®-Home Textile Home! Abreeze® is a cross-border e-commerce store for offering bedding sets, curtain, rugs and knitted blankets, etc.We believe you can buy the "Mr. Right"products in our company. Please feel free to put the order,if you have any other questions,just contact us,we will reply within 24 hours.Our first goal is to provide you with the ultimate best customer service in the world and make you a lifetime happy customer, shop happy and confident with our 5-star satisfaction guarantee. Fun and colorful plum flower shape cushions perfect for completing your living room ensemble.Great cushion for all chairs that you want to add more padding, helping relieve painful pressure. Perfect for you to use at all seasons. Get Abreeze, Care Creative Life! Thank you for your choosing! Material:Filled & stuffed cushion, Cotton fabric. Measurement: 42cm*42cm / 16x16inches; Thickness: 5cm / 2inches ( Approx. ).Four seasons available, machine washable hand wash, not available bleach. Package includes: 1 x cushion. 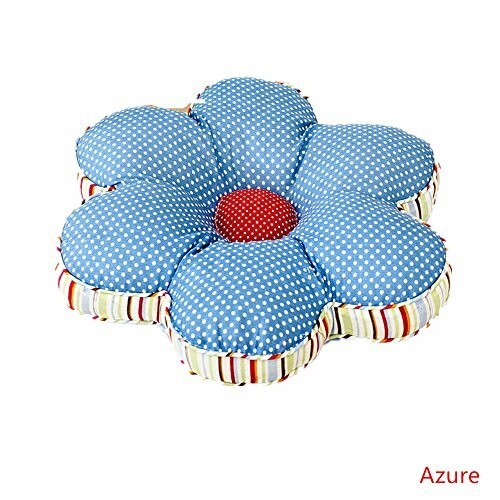 These cute seat cushion are not only designed for kids, but also for adults, not only help to support hips but also provide a beautiful decoration for your home. you can put it on the floor or leave it to your sofa, take it to your chair, you will enjoy the comfort. If you have any questions about this product by Abreeze, contact us by completing and submitting the form below. If you are looking for a specif part number, please include it with your message.